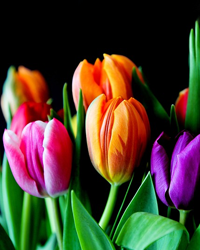 Obituary for Lettie Mae (Porche) Singleton | Jones Funeral Home, Inc.
Lettie Mae Porche-Singleton, 74, a native of Terrebonne Parish and a resident of Schriever, LA, passed away peacefully at 3:34 a.m. on Sunday, March 31, 2019. Visitation will be from 9:00 a.m. until funeral time at 11:00 a.m. on Thursday, April 11, 2019 at Jones Funeral Home chapel located at 6775 West Park Avenue in Houma. Burial will follow in Deweyville Cemetery. 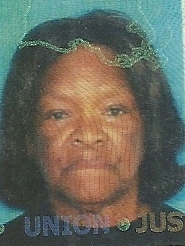 She is survived by her husband, Milton Singleton; sons, Varick (Cheryl) and Patrick Johnson (Elisha), and Milton Singleton; daughter, Paula Singleton; ten grandchildren; one great grandchild; brothers, Anthony and Bobby (Ida) Porche; sister, Janet Williams; and a host of other relatives and friends. She was preceded in death by her former husband, Edward T. Johnson; parents, Daniel and Rita Daigs Porche; brothers, Milton, Claudell and Michael Porche; and sister, Sandra Rener.